'Goutham Nanda', starring Gopichand, Hansika and Catherine in lead roles, hits the screens today. Here is our review. Goutham Ghattamaneni (Gopichand) is the son of a billionaire (played by Sachin Khedekar). A hedonistic rich brat, he stumbles upon the question of 'Who am I?' and goes on a path of self-discovery, only to bump into his lookalike, Nanda (Gopichand, again). Nanda lives in poverty, is unemployed, and wants to die because he has failed to strike rich. He is vexed with slum life, derides the lack of aspirations among his people, so on and so forth. Goutham and Nanda now strike a deal. They both will don the other one's avatar for 30 days. Goutham wants to taste the variegated emotions in life, experience sadness and become a better human being. In contrast, Nanda wants to enjoy the riches and do masthi. A twist in the tale comes as the anti-climax. 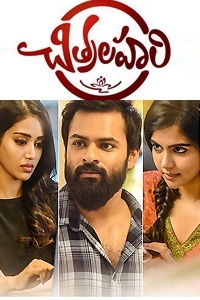 Will Goutham and Nanda realize what they had set out for? What is the message that the film drives home? That's the crux of the climax. Writer-director Sampath Nandi is armed with a fairly good story line. He is hell bent on conveying emotions more than gravity-defying action and those masala numbers. Since the makers didn't reveal that Gopichand would be seen in dual roles in the movie, the first twist manages to surprise the audience. The contrasting ways of the rich and poor, and the personality of Nanda, keep the entertainment quotient going in the first half. But for the comically aggressive ways of Ajay (who wants to win over Hansika's love), the first half is not glaringly cliched. The film fast slides into unending cliches in the second half (until the anti-climax moment). The formula starts getting on your nerves. 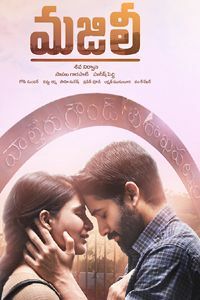 From a mother who takes care of a son's hunger and fever, to that done-to-death vocabulary of sentimentality, everything is a throwback to '90s era Telugu cinema at best and an affected story-telling that has gone self-indulgent at worst. Goutham should have started seeing beyond the obvious right from the fight at the theatre playing 'Khaidi No. 150'. The audience should have been kept wondering and guessing for a good 10 minutes before the final dawning. Although the songs make for entertaining viewing in terms of picturization, they seem to hinder the pace. 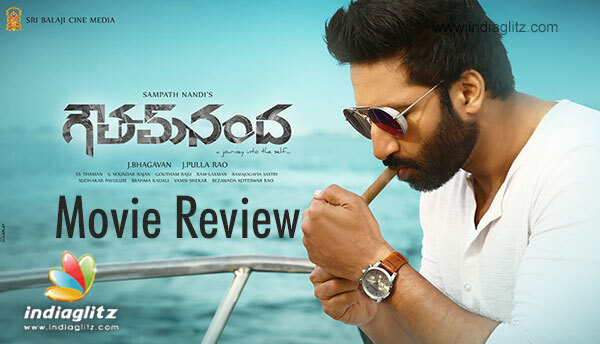 Gopichand delivers goods both as a spoilt brat without a care in the world and a frustrated youngster who doesn't share the joys of his friend (Hansika). He has matured as an actor over the years. Hansika is surprisingly lovable as an innocuous 'basthi' girl. Catherine is glamorous and holds promise. Chandra Mohan, Sachin Khedekar, Ajay, Mukesh Rishi, Bitthiri Satthi, Vennela Kishore and others fit the bill. Thaman's songs, especially 'Bole Ram', are cool. The BGM is a highpoint. Soundar Rajan's cinematography is nimble. Although the story line works, the film doesn't outgrow the cliches it is impregnated with. The pace slackens in the second half. 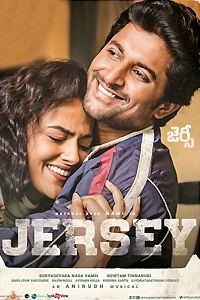 Gopichand's performance, dialogues, and technical departments are good.